LH143 multi function junction box,Waterproof junction box,metal enclosure Characters: 1)Made by superior cold-rolled metal,indoor use for connecting different kinds of wires,multi-function junction box for distributing. 2)size:143*143*90mm,have bigger version of 183*183*90mm,biggest of 300*190*90mm Function: 1)good combustion-resistant good insulation property good-fire resistant 2)protect wire and cable from easy damage or ruin Features: 1)Good insulation characteristic:good insulation property high anti-current puncture strength OEM is available.If a customer needs a new development of products,we will be very happy for you to make .And also stresse the high quality services to you. 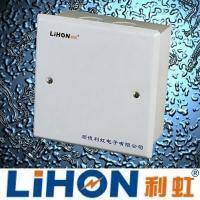 Our company is specialized exporter, manufacturer and supplier of offer electrical box in china.